The goal of these moves is to make more room to hang canvases, and organize , which you all know, has been a huge problem. The “Flip Frames “ from Madeira are also down from the wall and looking for a new home, so if any of you know of a good use for these, let me know. They will be leaving here one way or another in the next 6-8 weeks. We are doing a Virtual Trunk Show with JulieMar & Friends for the month of May. This is our first show with Julie, and she has a huge variety of beautiful designs. 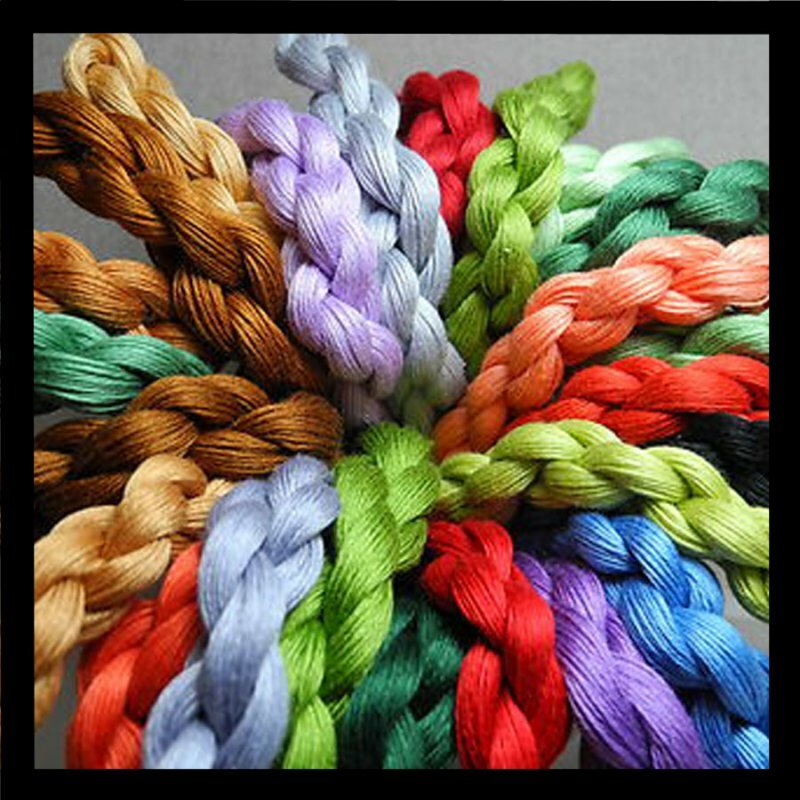 Just about any style of stitcher should be able to find something on her site. She has quite a few designers under her umbrella, and all are very talented. You may either go to my site, at the top of the designers, is the link to Julie Mar and Friends, click on the link, and it will take you directly to her site,(easiest method by far) or use this link www.juliemardesigns.com (sometimes these links when inserted work/sometimes not) to take you to the web site. Any design that you are interested in, record the item number, and name would help, just for clarification, let me know, and I will give you a price. (513-271-2712. When you purchase, you will get 10% off on the fibers providing you purchase the all fibers needed for the canvas. Julie has indicated that she does have most in stock, but any special orders will honor the trunk show price, paid at the time you place your order, and the fiber discount will apply to you as well, at the time of the canvas arrival. Her canvas line is beautiful, customers that have been in, and taken a look so far, have been very excited and orders have already been coming in, so do not delay on these as they will probably go fast. It is wonderful to shop from home, and not leave the couch until the canvas arrives…. Now a note on my website, if you have been poking around there lately the site has been having some color problems. The web designers are working on this. But what you might see are the color tabs that look like a floss color tab- that will show up in other areas where they do not belong, like in stretchers, or Paternayan, or who knows where. It defeats the progress we are making and makes it look almost like a hack- ….but hopefully it will be fixed soon. If you are thinking about a color for a purchase and it looks off, please call and check with us, so that we can assist and confirm for you. And if you see something, that looks off do not hesitate to call or email, as you may have discovered something that we have not caught yet. We have corrected the Pepper Pot, Floche. The Silk & Ivory, did not seem to be affected as of this point. Paternayan is another product showing up in places where it does not belong, so again we apologize for the inconvenience. Patterns, are an area that has also had a lot of interest lately. I will be putting several patterns on the site and indicating there availability as either a pattern or full kits. With the full kits, you will get 10% of the pattern and fiber price if purchasing the full kit. In the detail description tab of the pattern I will list the specific fibers that the pattern calls for. As with some patterns that have options with colors, I will list which ones that I am putting into the kit. There are also with many kits optional color ways. I will do my best to list the optional colorways, and if I have all the fibers in the optional colorways available, I have no problem switching out to another colorway for you. The site may have space limitations for all colorways/details, but we will provide as much detail as we can and you can always contact us with questions. So, lots that has been happening over the winter, and will continue, and enjoy this wonderful weather!!!! As an additional note, we are stitching together as a group on Wednesdays and Saturdays now, so feel free to join us, no restrictions as to what you are stitching. We are not the stitch police, here. It does not need to be needlepoint, your knitting, cross stitch, or whatever you feel like bringing at the moment is wonderful. We all like to see what ever anyone else is working on!! !